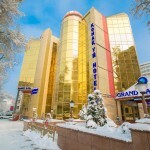 Business and pleasure travelers will find no shortage of quality hotels in Almaty as Kazakhstan’s biggest city offers an array of options from luxurious to efficient. 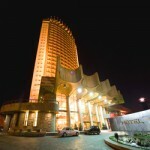 At the top end are the city’s five star listings including the Rixos Almaty and Hyatt Regency Almaty. 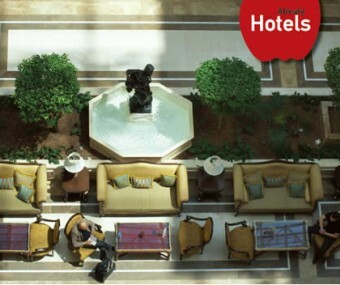 The Hyatt was the city’s first five-star hotel and continues to offer impeccable service. A 24-yurt cafe in the middle of the hotel reminds its international guests they have arrived in Central Asia. 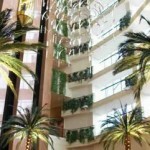 The Rixos offers a stunning seven-story courtyard-style design with a light-filled glass ceiling. 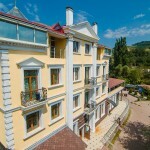 But it may be best known for its luxurious spa and banya. 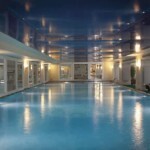 The Rixos spa offers an oversized pool, steam-filled massage rooms and all the papering you could want. 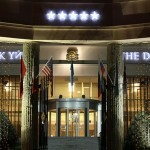 Among Almaty’s four star listings are the Grand Hotel Tien Shan and the quant Ambassador Hotel. 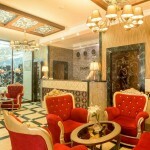 The Ambassador bills itself as Almaty’s first boutique hotel. 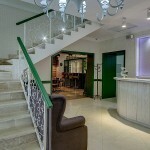 And while it may not match the European definition, it’s certainly more unique and filled with character that the larger corporate hotels. The Grand Tien Shan is also a great option as it’s located in the center of the city across from Kunaev Park. It’s also housed inside a beautiful neo-classically designed building that once served as Kazakhstan’s Ministry of Geology. 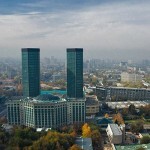 The majority of Almaty’s major hotels are located close to the city’s business centers. 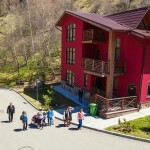 A number of small resort hotels are also offered in the mountains that ring the city. 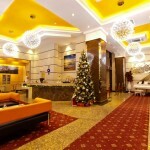 Most of the major hotels also offer airport transportation and WiFi-equipped business facilities. 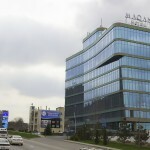 With Almaty serving as a business hub, many of its hotels are often most crowded during the work week rather than the weekend. 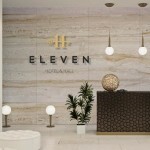 But with a large and growing number of hotel options, you should have no problem finding a quality room. 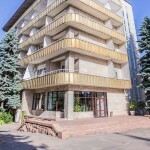 The first international five star hotel in Central Asia, Rahat Palace Hotel Almaty combines western elegance and comfort with eastern hospitality. 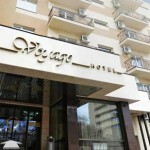 The Hotel is conveniently located in downtown near the International Airport of the city. 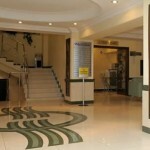 Convenient location, parking and professional stuff are awaiting business and regular travelers. 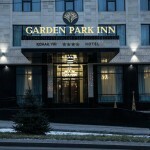 Garden Park Inn offers accommodation in Almaty, 14 km from Medeo and 17 km from Shymbulak. 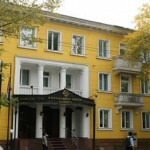 The property is set an 8-minute walk from Almaty Central Stadium, an 11-minute walk from Kasteev State Museum of Arts and 1.3 km from Kazakhstan Independence Monument. 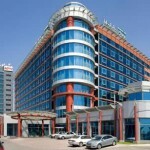 The hotel features a restaurant, and Central State Museum of the Republic of Kazakhstan is 1.7 km away. 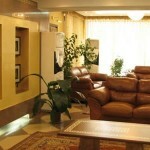 Hotel is located in a picturesque area of ​​Almaty, 5 minutes drive from the center of the city. 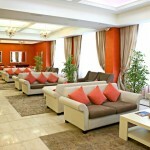 Few hotels in Almaty can surprise with a convenient location in the city and a wonderful view from the room. 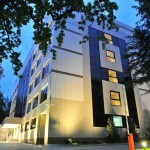 Grand Aiser Hotel offers you accommodation in one of the modern guest rooms made in hi – tech style. There are beautiful view of the Alatau mountains and the city skyline. 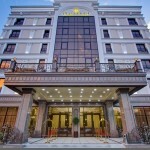 The Grand Hotel Tien Shan is located in a short walk from Almaly metro station and 20 minutes from Almaty International Airport. 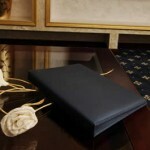 It is about 20 minutes walk from the famous Opera House and 10 minutes from the 28th Panfilov Heroes’ Memorial Park. 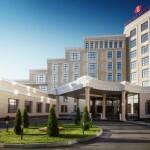 The Premier Alatau hotel is located close to administrative and business areas of Almaty and it takes 20 minutes to get the international airport. A guest can enjoy with magnificent Kok-Tobe mountain view. 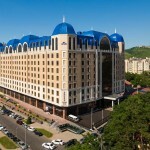 InterContinental Almaty hotel offers stunning mountain views from its elegant rooms and suites. 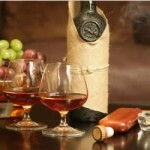 After a busy day, a guest relax with a glass of cognac in the refined J Bar listening to live jazz, or enjoy a soothing massage in luxurious SPA centre. 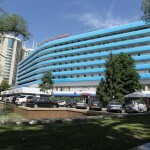 This hotel is considered Almaty’s unique historic monument, Kazakhstan’s legacy, an example of solid and firm soviet architecture, one of the few hotels in the world to become inherent part of the city. What could be better than mountain holidays? Only the mountain hotel-resort Lesnaya Skazka Mountain Resort & Spa located in the most picturesque place of Kazakhstan 30 km from Almaty, in Oy-Karagay canyon. The Maqan Hotel is a boutique hotel with an original interior design, convenient location, high quality service, personalized and careful attention to every guest of the hotel. 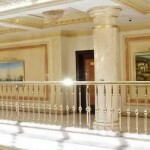 The Plaza Hotel Almaty is the embodiment of aristocratic elegance and modern multifunctionality. The conference hall, designed to seat up to 50 people, is a place for conferences, round tables, and seminars at the highest level. 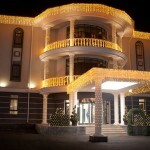 The Renion Hills Hotel is business class hotel. A guest can observe the charm of the serene beauty of the Trans-Ili Alatau mountains from the windows of hotel rooms. 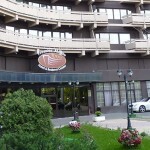 Located in Almaty and within 15 km of Medeo, the Renion Park Hotel features a shared lounge, non-smoking rooms, and free WiFi and has an indoor pool, sauna. The hotel is 18 km from Shymbulak. 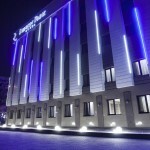 This hotel is located in the centre of Almaty, a 2-minute walk from the State Opera and Ballet Theatre and a 5-minute walk from Almaly Metro Station. 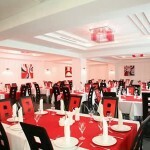 The on-site restaurant serves Chinese cuisine and a variety of drinks is offered at the bar. This luxury 5-star hotel is located on the foot of Alatau Mountains in Almaty and features a spa centre, an indoor pool and a fitness centre. 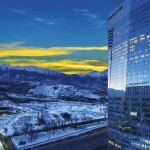 Almaty city centre is a 10-minute drive from The Ritz-Carlton. 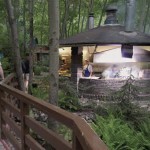 The famous Shymbulak Ski Resort is only a half an hour away from the hotel. 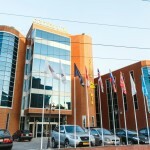 The Worldhotel Saltanat Almaty Hotel located in the historical and cultural heart of the city, just walking distance from the Central State Museum, Republic Square and the Presidential Palace.